MISSISSAUGA, ON--(Marketwired - Mar 16, 2016) - Ingenico Group (Euronext: FR0000125346 - ING), the global leader in seamless payment, announced today that Suzan Denoncourt has been named Managing Director for Ingenico Group Canada, responsible for all aspects of Canada's operations. An 11-year veteran of Ingenico Group, Denoncourt succeeds David Chaudhari who held the position since 2011. She previously headed all sales and business development for Ingenico Group Canada. In her new role, Denoncourt will report to Oscar Bello, President, Ingenico Group North America. "We are proud to have Suzan as our new Managing Director of Canada and have every confidence that she and the team will continue to execute and expand on the excellent ground work David performed in that role," said Bello. "Suzan has already proven herself to be a top-notch leader and strategic visionary. She's played a crucial role in driving innovation through her involvement with Ingenico Labs and her ability to identify and execute on key strategic partnerships, such as our recent partnership with the MaRS Discovery District to drive fintech development and innovation in Canada." Canada is a strategic market within the payments space, and Ingenico Group has been a payments technology leader in Canada since it first entered that market in 1983. During Denoncourt's tenure as head of sales at Ingenico Group Canada, the company has grown to become the undisputed market share leader in Canada. Suzan helped grow not only Ingenico Group hardware sales, but also led expansions into new services and solutions that have helped drive substantial recurring revenue. With a 25-plus year career spanning business development, operations and finance, Denoncourt has dedicated the past 18 years to the payments industry. Prior to joining Ingenico Group, Denoncourt spent seven years as Regional Director at Maxwell Technology where she was instrumental in securing strategic contracts driving the company to significant market share, as well as building out the operational structure to support new business. During her tenure at Marleau Lemire Inc., she was part of the most innovative research team of its kind, contributing to its #1 ranking in 1994. Perfectly fluent in both English and French, Denoncourt holds an MBA from Concordia University and a BA from McGill University. She is an Advisory Board member, speaker and active participant in numerous industry associations and events. "I am honoured to have been appointed Managing Director for Ingenico Group Canada," said Denoncourt. "Despite enjoying decades of strong market position in Canada, our dedicated team remains keenly focused on elevating our brand reputation which has become a cornerstone of our overall approach. Nurturing customer relations, growing strategic solutions and partnerships, and investing in employee engagement will remain top priorities as we work to maintain our trajectory." 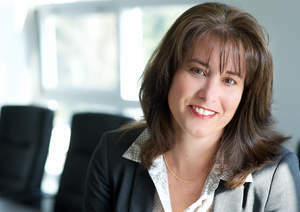 Ingenico Group, the global leader in seamless payment, announced today that Suzan Denoncourt has been named Managing Director of its Canadian operations.